Home > Health > Pure and Natural Hand Sanitizer – no chemicals! Today I’m sharing my recipe for a pure and natural hand sanitizer – no chemicals. I’m so careful about what I put on my skin and if I can’t make it natural- I won’t use it. This is also a great recipe for grocery cart handles – with using Eucalyptus, Tea Tree and Lemon or Lavender – but leave the aloe out of the recipe and use a high proof alcohol. 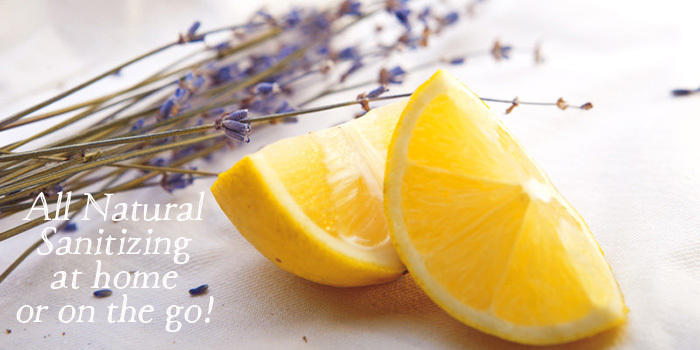 The following recipe makes a Lavender/Lemon blend Natural Hand sanitizer or you can use Eucalytus Oil, Orange, or Tea Tree. NOW essential oils offers these essential oils in the 1 or 2 ounce sizes and they are very inexpensive. NO CHEMICALS! All natural! Place all ingredients into container of your choice. Shake well to combine and spray often as needed.